Thanks to everyone for joining us back on the blog last week. It has been fun getting back at it, and we've enjoyed reading all of your comments. As promised, we have drawn a winner for the Echo Park "Country Drive" paper pack. This is one of my favorite paper sets ever - so happy and sweet with all of my favorite colors!! "Happy Belated Birthday Emily! I'm sure all of her friends had a great time! 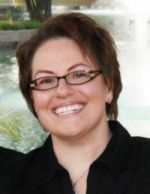 What a fun project!" 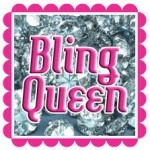 Sandra Joy, please email me your shipping info to moniquegriffith@yahoo.com. Congrats!! Keep checking back this week for more posts, and more chances to win additional blog candy! Hello Friends! Becca here. Hope yall had a great weekend. It was a fun one for us over here. Nana Susan had herself birthday and we celebrated with cake, pizza, root bear floats, and presents! Yum! I made this Birthday Cake Card for her using my handy dandy Cricut, a few of my favorite carts, and my Cuttle Bug. I used Birthday Bash and A Summer in Paris. Both are are really fun. 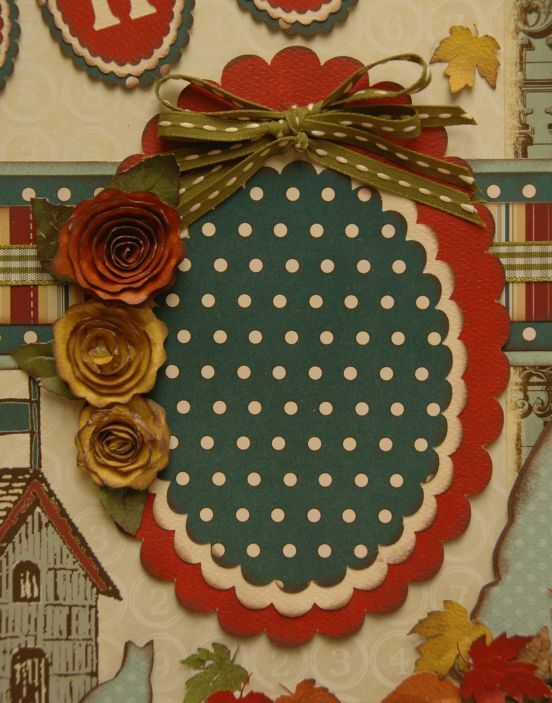 The solid card stock is from Bo Bunny, and the patterned paper's from My Mind's Eye (Quite Contrary line). The cake was cut using A Summer In Paris cart and the "Happy Birthday" font was cut from Birthday Bash. Polka Dot Mat - 4" x 5 1/2"
Green Mat - 4 1/2 x 5 3/4"
I cut (2) cakes for this card so I could use one to create a shadow by "offsetting it". Before attaching the cakes together I ran it through my Cuttle Bug using a "swirly" type embossing folder. Any design will work. 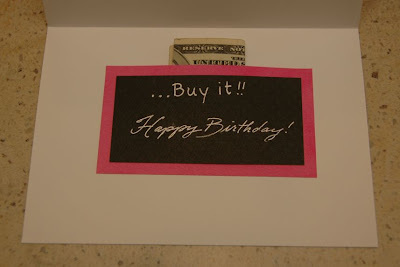 After chalking it with purple chalk ink I layered the cakes and attached it to the card with pop dots. After cutting the mats I chalked all sides with brown chalk ink. I love what a little chalk can do. It just makes it pop! Then I layered my pink ribbon and my green ribbon and attached it using basic adhesive. *Don't forget to leave a comment today for your chance to win some yummy blog candy. Oh, and Monique will be picking a winner for last weeks blog candy. So stay tuned my friends, and have fun creating. Ta! Happy Friday, friends!! Monique here. I hope you've all had a wonderful week and are looking forward to your weekend. 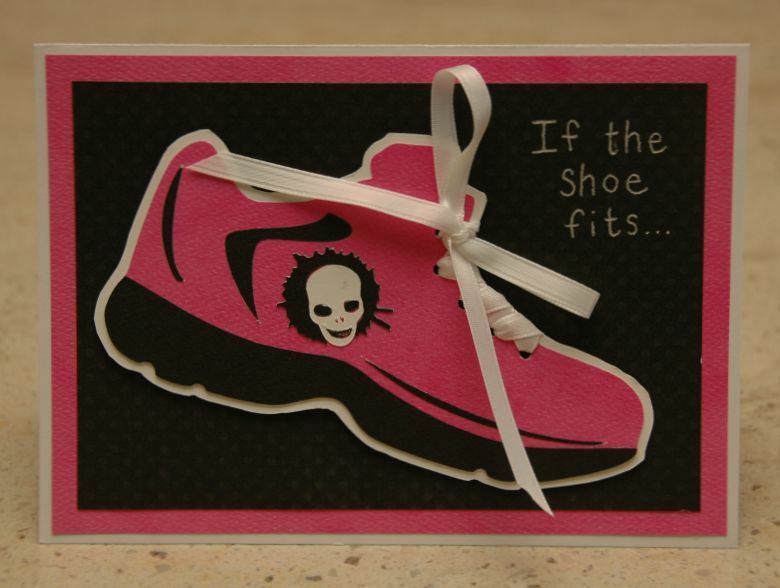 Ok, we all know that shoe-themed cards are very popular (who doesn't love a cute pair of shoes, right? ), but instead of the usual high-heeled shoe design, I went with a running shoe on this card. 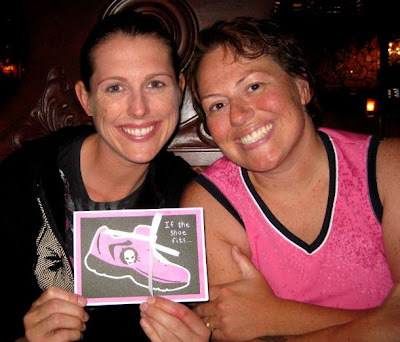 My very good friend Stephanie had a birthday on Monday, and I'd been wanting to make her this card because she was really hoping to get $ toward a new pair of running shoes for her birthday. The running shoe was cut at 3" from the Pink Journey cartridge. However, the cut on the cartridge has no layers or shadow or anything. So I first cut it out in hot pink, trimmed off the shoelace part of the image, and then attached the shoe to solid white cardstock. I then hand-trimmed the white cardstock, essentially creating a 1/8" shadow around the shoe. Then I cut the shoe again, but this time in black. Using scissors, I trimmed away the sole of the shoe, and attached it to the pink shoe. I also saved the little "hole" pieces that you'd normally throw away, and I just glued them inside the spaces in the pink shoe. The cool skull image was cut from Indie art at 1". Had to go with skulls for Steph! Finally, I used my Crop-a-Dile to punch holes in the shoe, and then threaded white ribbon through the holes and tied a bow. The sentiment was just hand-written with a silver Signo pen. Stephanie and I and our friend Erin are doing triathlon training with a group, including coaches. We meet 3 times per week for killer workouts all around town, plus do workouts on our own an additional 3 days/week. We've been working on swimming, biking, and running, and are planning to compete in the Golden State Triathlon in Sacramento on October 9th. It'll be a 1/2 mile swim (harder than it sounds! ), 15 mile bike ride, and 3 mile run. This is quite a stretch for me as I only started exercising about 3 months ago after almost a year of cancer treatments, and even before that I wasn't doing anything physical, so I was in BAD shape!!! But I have come really far with training. I can now swim more than the needed 1/2 mile in a super cold lake (though slowly), I'm decent at biking, and had 1 stretch of 23 miles, and I'm even getting better at running. I think I might be able to run my first continuous mile very soon - I'm getting close, and have NEVER done that in my whole life. It's amazing what you can accomplish with hard work, isn't it? So that's a big reason that I've fallen a bit behind with blog posting and whatnot. I've really been focusing on my health. Oh, and I've also dropped about 30 pounds in the past 9-12 months - woohoo! All of my clothes are getting too big! It's an empowering feeling to be somewhat back in charge of my own body, and to know that I'm not too old to get in shape and accomplish something as crazy as a triathlon. And that goes for the rest of you too. It's never too late to get off that couch! Don't forget to leave a comment on today's post for a chance to win this week's blog candy - the Echo Park "Country Drive" paper pack. See ya again soon! Hi Everyone! Monique here. Thought I'd check in and say hi and post a little something just for fun. Around here, September is birthday season. My little Emily just turned 7 on September 1st, and she wanted a Disney Pluto birthday party. Umm, yeah, just try looking around the internet to see how much Pluto birthday stuff is out there. VERY little!! Good thing my trusty Cricut is friends with the Disney gang. 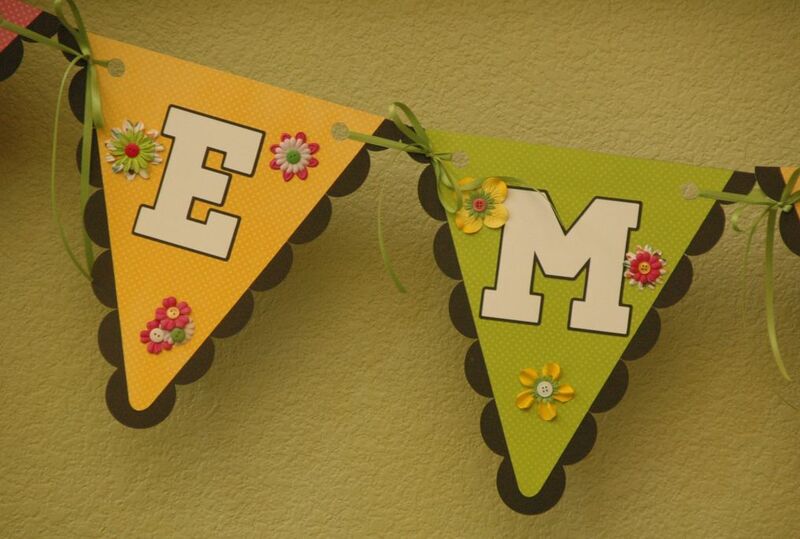 We whipped up this snazzy banner in no time, and it was just the perfect touch for the party. It was kind of a group effort, actually. I designed it, Wendy cut it out, I assembled it, and then Nana Susan helped with the flower placement. It takes a village sometimes. 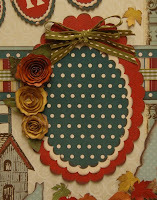 We used Bo Bunny cardstock, of course (yum!). 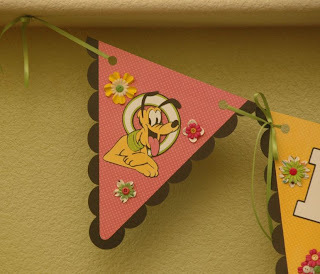 The banner pieces were cut from the Birthday Bash cart using Fit to Page, so they'd be max size. The font was also Birthday Bash. 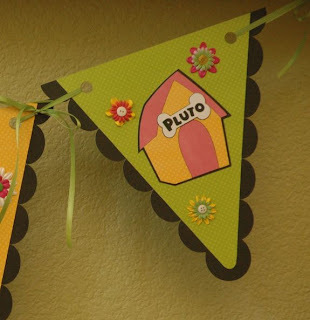 And of course, Pluto and the dog house were from Mickey and Friends. I strung it together with green ribbon, and added a whole bunch of silk flowers and buttons to girly it up a bit. We had such a fun birthday party here with Emily and 25 of her closest friends playing party games and eating birthday cupcakes. I love my girl!! 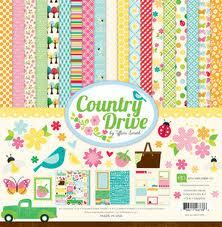 Don't forget to leave a comment on today's post for another chance to win an Echo Park paper pack - "Country Drive". 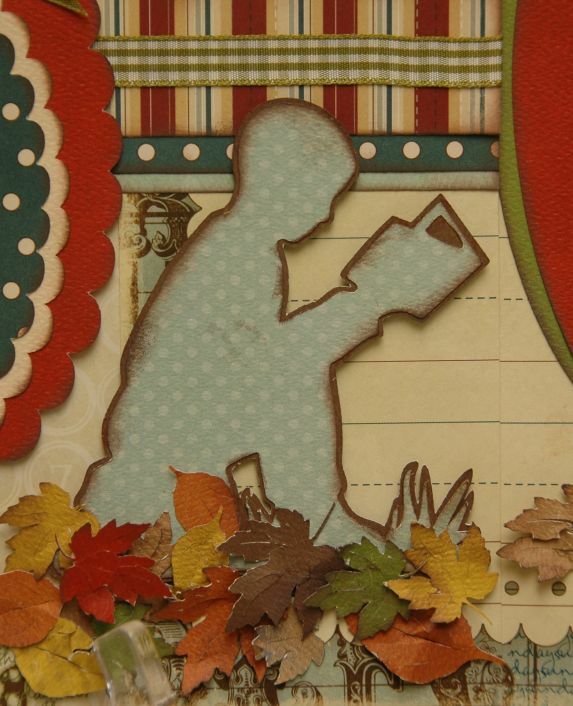 This is gorgeous paper - one of my very favorite lines I've seen in a long time! It's Susan here and I have some great things to fill you in on!
" YAY! We are happy to be back! " The summer has been great but fall is even better and we are all ready to roll. 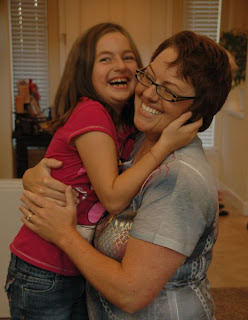 Monique's focus on family, relaxation and health has paid off and we'll be posting some pictures soon to prove it! 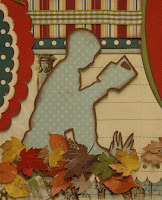 Watch for Monique's post & creations tomorrow!! and capture their back to school experience. I LOVE this time of year! Join us September 22 at 6pm-10pm. and a fun evening. 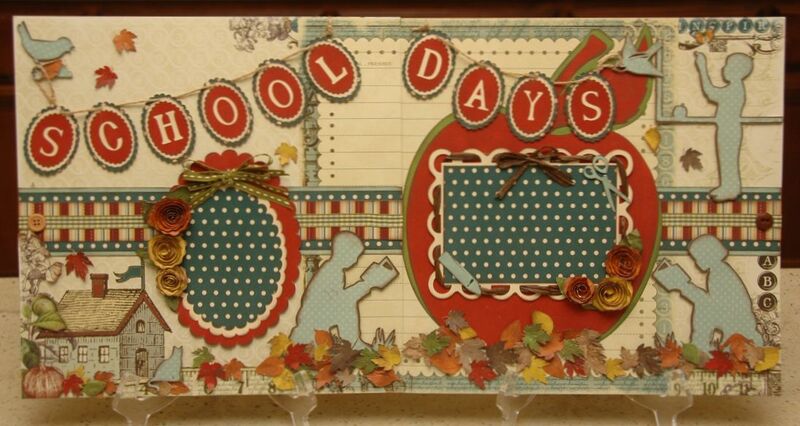 See the Cricut Kits page to buy the class, kit or just directions. bro wn chalk ink,pop dots, adhesive, small hole punch, thread and basic tools. 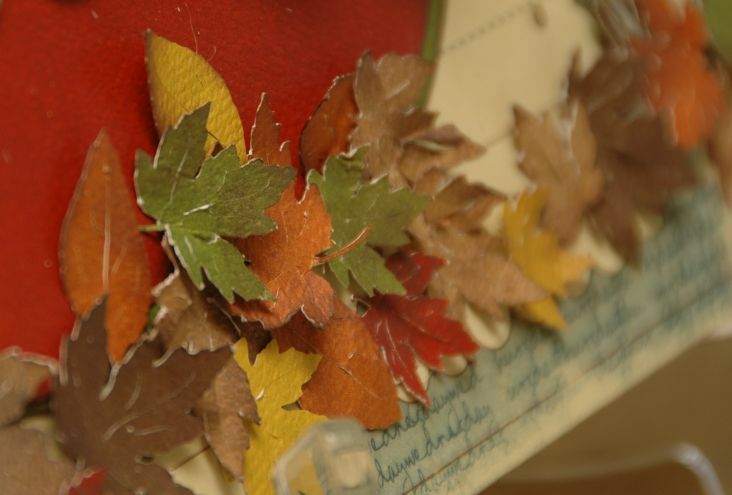 on this blog -see Kits tab at the top. You'll want to sign up now for the class as there is limited space. gives you another entry in the drawing.